Krar Collective is a London-based trio that plays Ethiopian azmari music with a modern, urban edge. The azmari are Ethiopia’s answer to West Africa’s griots – minstrels, keepers of the tradition, social commenters and jesters. Azmari music centers around the krar, a six-stringed lyre (sort of a hand-held harp), and bandleader Temesgen Zeleke plays it sensationally; his work on electric krar is incendiary and positively post-modern. Robel Taye keeps the pulse and drives the dancers on traditional kebero drums (Ethiopian tom-toms); Genet Assefa and Zeleke trade off on female-male vocal leads. 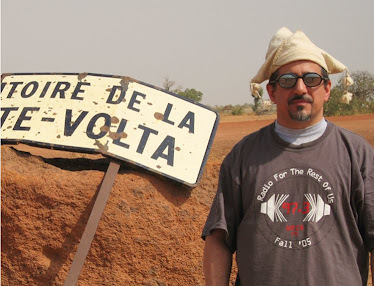 The band totally rocks these largely-traditional songs (6 was arranged by Ethio-jazz legend Mulatu Astatke, 10 is from the repertoire of famous actress Asnakech Worku, the rest are straight public-domain) – this is folk music that’s dance music. 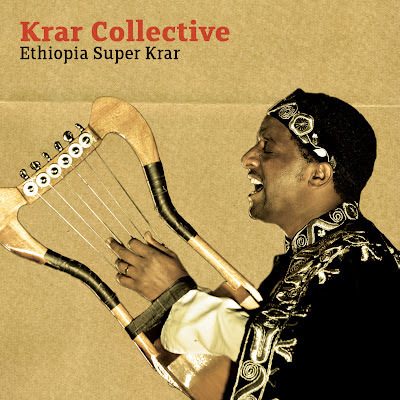 Krar Collective are at the tip of a spear of Ethiopian musicians (in-country, expat and foreign-born) who are bringing a new ear to the music of their homeland. It’s a great trend; I highly recommend picking up on it.